EVGA has just teased its fans with a photo of a new GTX 980 graphics card. Coming soon featuring a single slot liquid cooled design. This is the photo that EVGA used to tease its fans with on its official Facebook page. 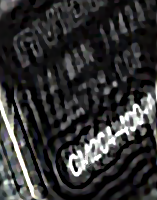 The image in question shows a single slot graphics card with the GPU die intentionally out of focus. Fear not however with a few photo manipulation tricks and common sense I’ve managed to identify the GPU in question and possibly even the graphics card in question. The GPU has been identified as the GM204-400 which is the full fat GM204, which means we’re looking at a GTX 980. 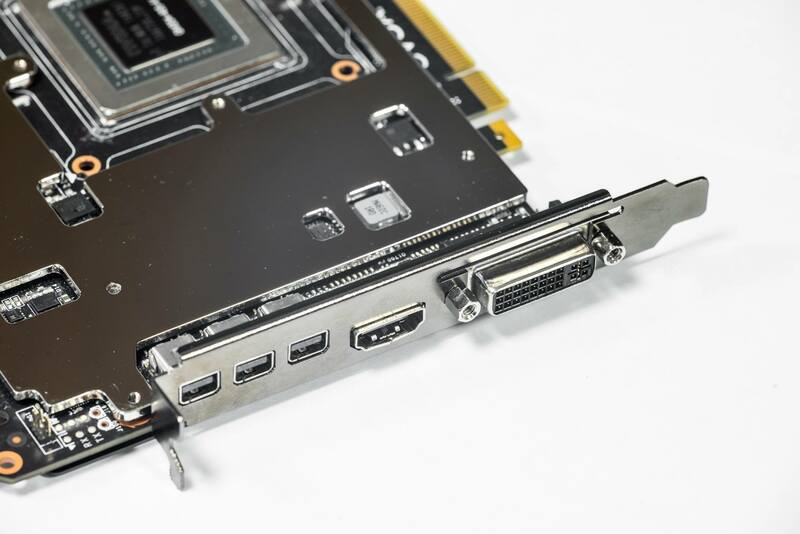 The single slot design tells us that this can only be a liquid cooled GTX 980 for three real reasons. The first being that the card features a full fat GM204 chip. So a single slot air cooler can not realistically keep it within acceptable thermal limits. The fastest single slot GeForce card from Nvidia still is the GTX 750 Ti which only produces one third of the GTX 980s thermal output. The second reason is that there are no vents in the bracket, which again excludes an air cooler. Finally EVGA states that this card is by enthusiasts for enthusiasts which indicates that this is a flag-ship enthusiast product. EVGA has already introduced a liquid cooled GTX 980 Hydro Copper for a hefty $800 a few months back. However naturally the company hadn’t been able to release a Classified version of the Hydro Copper at that point and for good reason. It’s primarily due to the lengthy binning process that is required to accumulate enough golden samples that would be worthy of the Classified name. The GTX 980 Classified Hydro Copper will demonstrate the best possible performance that can theoretically be achieved with a fully unlocked GM204 GPU under water. If you plan to get one you’d better start saving your pennies now. And you’ll need to save a whole lot of pennies because the EVGA GTX 980 Classified Hydro Copper will undoubtedly be expensive. We’ll update you as soon as we receive any further information, so stay tuned.